On Sunday night (November 7th) we will have our [[Jamboree/Social_Event | Jamboree Social Event]], at Jillian's Boston. 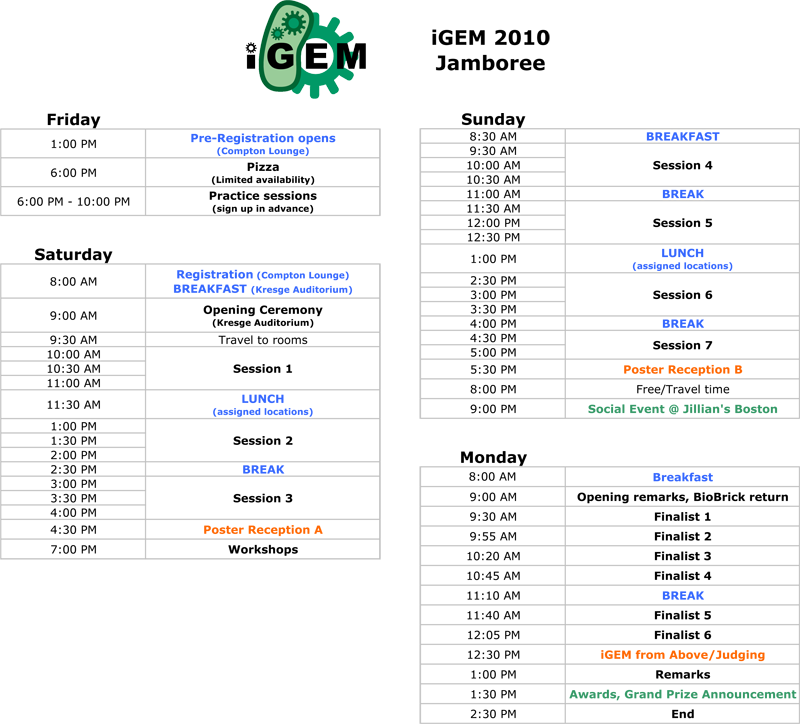 To see a map of iGEM locations across MIT campus (including Registration, Kresge Auditorium, etc.) see the [[Jamboree/Campus_map | campus map]] page.